a. 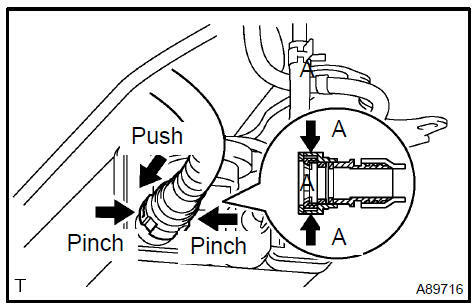 Disconnect the fuel tank vent hose. Push the connector deep into the charcoal canister assy to release the locking tab. Disconnect the VSV connector for CCV. Disconnect the fuel emission hose. Disconnect the air inlet line hose. e. Remove the 2 bolts and charcoal canister.